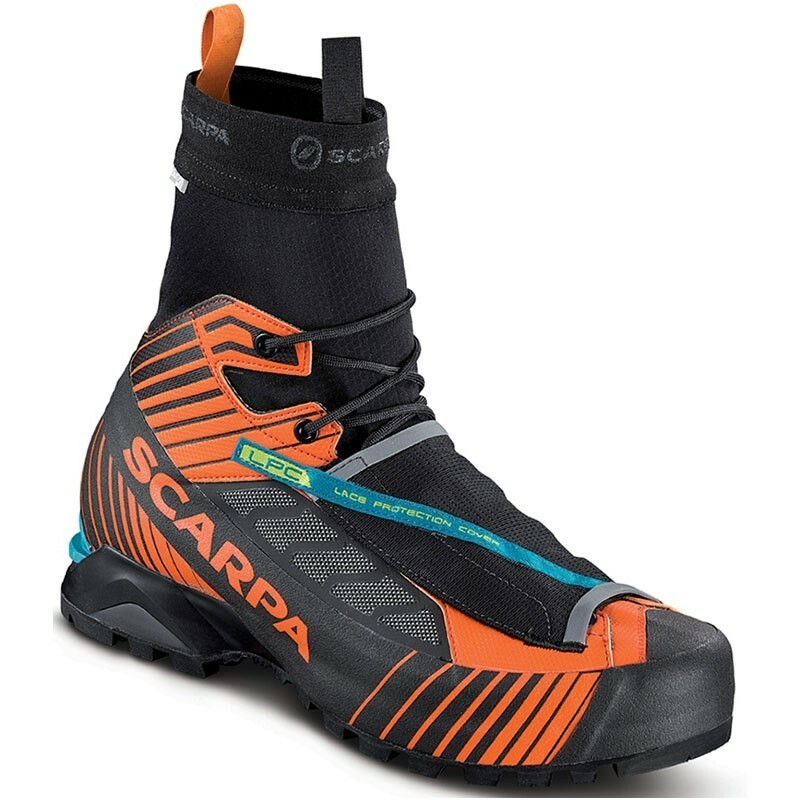 Designed for fast and light ascents, the Scarpa Ribelle Mountain Tech is an unbelievably lightweight mountain boot that will take you all the way from the valley floor to the summit. Sock-Fit Plus construction is supremely comfortable, and an OutDry membrane keeps your feet dry while maintaining an insulation gap between your foot and the membrane. A sock-like minigaiter keeps the snow out too. A TPU insert at the heel allows the use of C2 semi-automatic crampons, although due to the flexibility of the boot (it's very very soft for a B2) you will need to use either a flex bar or re-position the linking bar to allow bending of the crampon. Not just for fast snow-treks, we think the Scarpa Ribelle is ideal for alpine rock routes that involve a glacier approach or snowy descent.